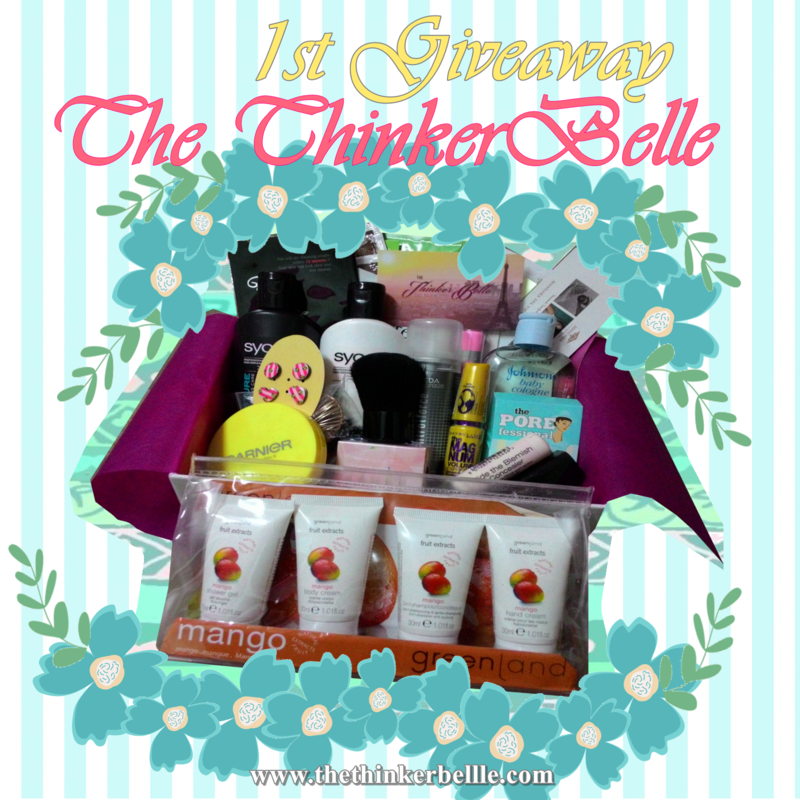 The Thinker Belle 1st Giveaway: Birthday Giveaway! Yes!!! 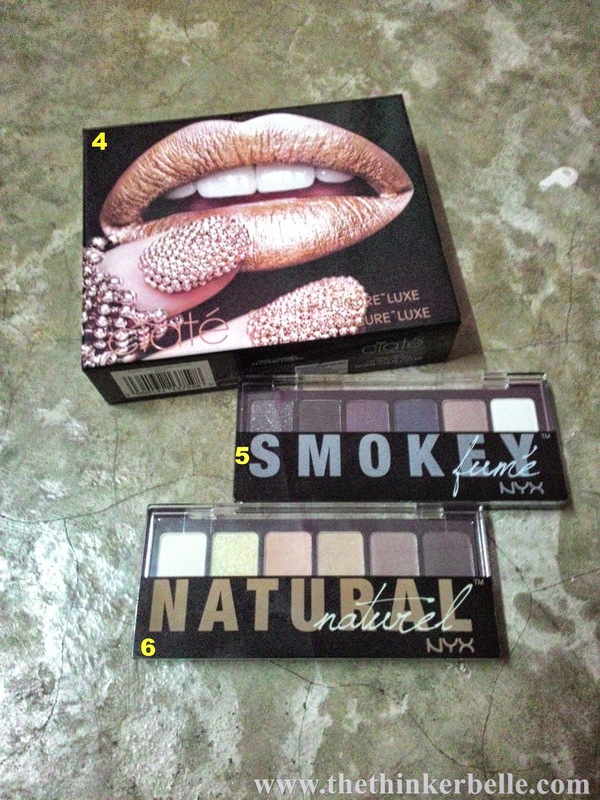 I'm finally hosting my first giveaway on this blog since I've collected some products in my giveaway stash now. At first I wasn't very sure when I should do this giveaway but since my birthday is in January, I thought I'd love to share some love with you guys. But unfortunately this giveaway is open only for Malaysian resident. I hope I can do an international giveaway soon too. The rules for this giveaway is simple and easy but make sure you follow them as I will check them. Just fill in the Rafflecopter widget below! You have to complete ALL the compulsory one. Once done, you will unlock the others which you could do to increase your chance of winning. I will contact the winner once the giveaway ends. If the entries exceed 200, I will add something awesome to the prize! Yayy! My giveaway has exceeded 200 entries, so to make this fun I'm going to add some more in this giveaway. 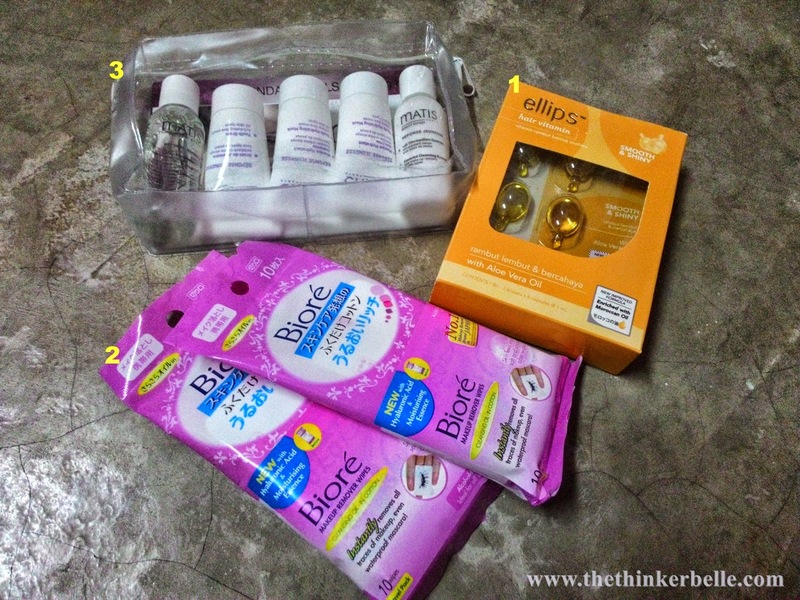 When number of entries exceed certain numbers, I'll add one more product for the winner ! So don't forget to share and good luck! I think the best birthday present I given to someone is a pair of heels for my mom. I knew she never complaint to anyone about her stuff. When I look at her shoes, I knew she in need of one. So, I get her one and she likes it very much. I know what you mean. Mothers are like that, that's why we children need to be even more caring. I'm glad she like it! best birthday gift i gave is to my fiancee..
aww, you're such a romantic! Great giveaway babe! Happy birthday! 😘 the best birthday gift that I have given is a homemade strawberry cheesecake for my mum who is an epic fan of cheesecake. It was amazing to see her enjoying the cheesecake that I made with love! It gives you such a satisfaction right? Hope I can win :D <3 Such an awesome birthday giveaway you have there. thank you :) good luck! well thank you :) goodluck! The best Birthday gift I've ever gift to someone is make a Surprise Party and baked his birthday cake myself with LOVE. non-other than for my dad. Red Velvet cake yummy! necklace that my best friend gave to me last year. That thing is the best thing that i received, important.